I couldn’t tell you where or when I met Angel (before this posting) but it seems like I’ve know him forever. The first time I saw Angel’s creations was at the Partagas Encuentro in November 2014 and I would have met him shortly afterwards. I had to refer to my stockpile of pictures to determine that. He is a very likable human being who is very easy to get along with. I always found myself gravitating towards him and conversing at length both in his native tongue and English. Often the conversations revolved around his work and what projects he had lined up for the future. When I met him I was invited to visit his showroom which was in the Miramar district at that time….I was never able to make it there. 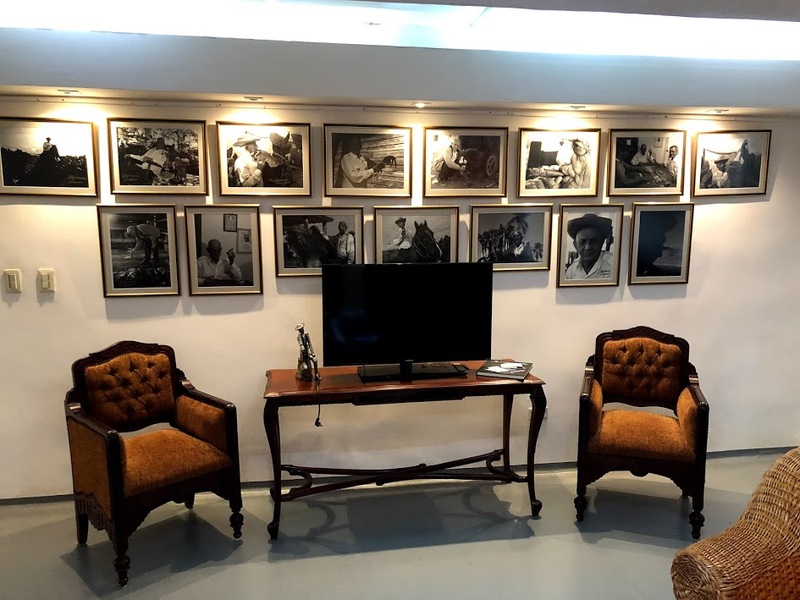 However, recently he moved his showroom to a more central location in the old part of the city and has created a sort of club for friends and possible clients. Here’s a little background on the man…..Angel Miranda Battle was born on June 10, 1965, is married and has 2 children. He is a Telecommunication Engineer by trade and worked in that field for 10 years. Around the time of the “Periodo Especial” in Cuba, during the 90’s, Angel decided to change profession and in 2002 entered the Cigar World. He wasn’t exactly keen on the idea because he didn’t smoke cigars….yet. However, he wasn’t working at the time and this was the opportunity that presented itself….he needed to find something as soon as possible. He remembered that he enjoyed working on the Tobacco Plantations when the school sent students there for 45 days at a time….he had done this once a year over a span of 7 years. Long ago it was mandatory for students to be sent to a farm for a length of time to toughen you up and to have an understanding of what life was like in rural Cuba. He had forgotten how magical the Cigar World was and soon after making his decision began educating himself by reading about the topic, drinking coffee and smoking cigars. He determined that he too could be part of that history by creating different humidors which at the time were still being designed in the pre-revolution manner. It wasn’t easy changing how people perceived a humidor should be but through humble beginnings in 2003 he introduced the Laser Engraving Machine for the top of the Selección Robusto y Selección Pirámide boxes. Soon afterwards came designs for San Cristóbal de La Habana, Romeo and Julieta and the Maduro 5….etc. During this time he discovered that Cigar Producers didn’t want to sell humidors with a modern design and that the people within the industry didn’t understand art even though art and cigars have always gone hand in hand. So in 2009 he decided to found his own company to produce Collector, Art and Design Humidors. The road to independence and the introduction of new ideas is not an easy task when you want to make a difference in a traditional market. 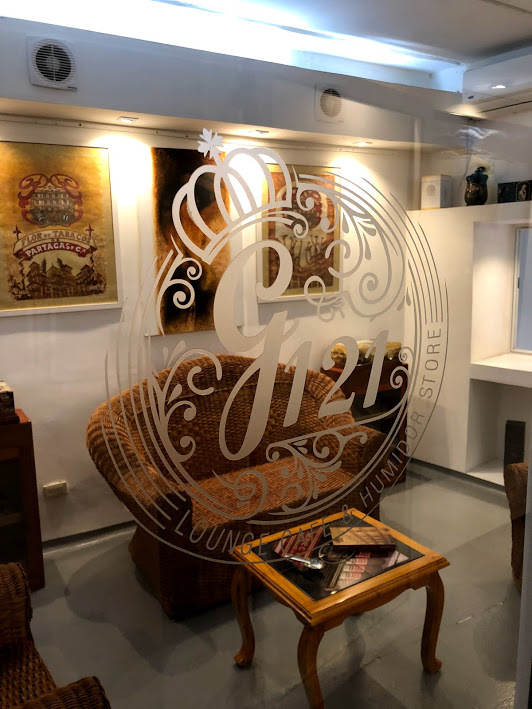 Five years after meeting him in the Partagas Shop, after his humidors have been presented in Art Galleries, Fairs, Exhibitions and several LCDHs around Havana, he decided to open his store “Galiano 121”. This is a place where he can receive & entertain clients & friends only. It’s not be a place to sell his products nor is it a public space. It’s a place where he can design and show new projects while sharing good times with friends over Cigars, Coffee, Rum and Cuban Art. New projects are in the works every year like the recent “Limited Edition L´Abuelo”, commemorating the 100 Anniversary of Don Alejandro Robaina for the Italian market….only 10 made. And the “Limited Edition 25th Anniversary of Partagás LCDH”, commemorating the 25th Anniversary of Partagás LCDH cigar shop in Havana….only 25 made. 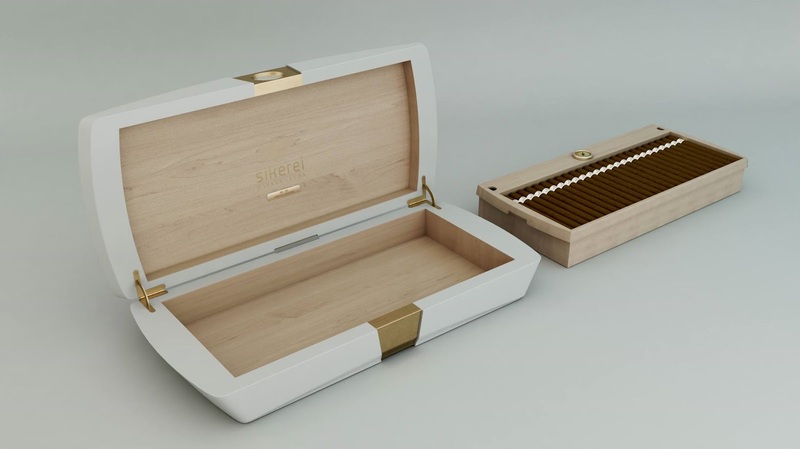 Both of these humidors were presented at the Habanos Festival in Havana this year. 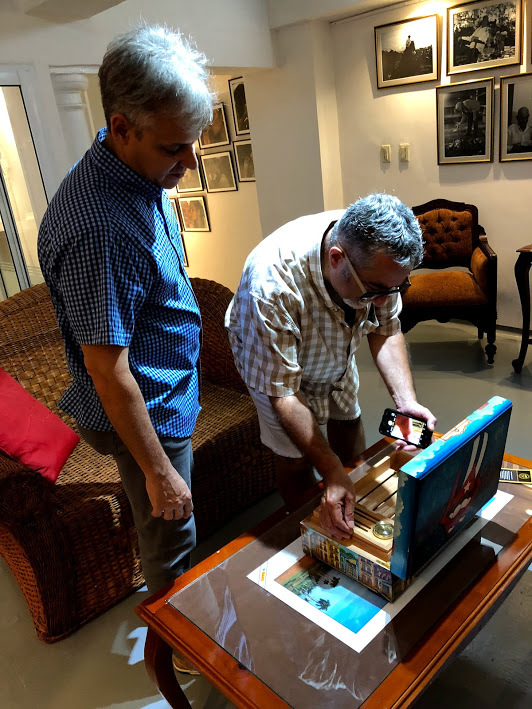 At the moment he’s working on the Limited Edition 500th Anniversary of San Cristobal de La Habana City which will be presented in November 2019. He is not alone in his pursuit and is always mentioning that this is a joint effort among designers, engineers and himself. However, I have yet to meet these people and in my writings or in talking with others I always use only Angel’s name when referring to the principals involved in this endeavour. A couple of the pictures below were sent to me by Angel and Thank You Dave Anderson for allowing me to use a few of the pics you took while we were visiting that day.